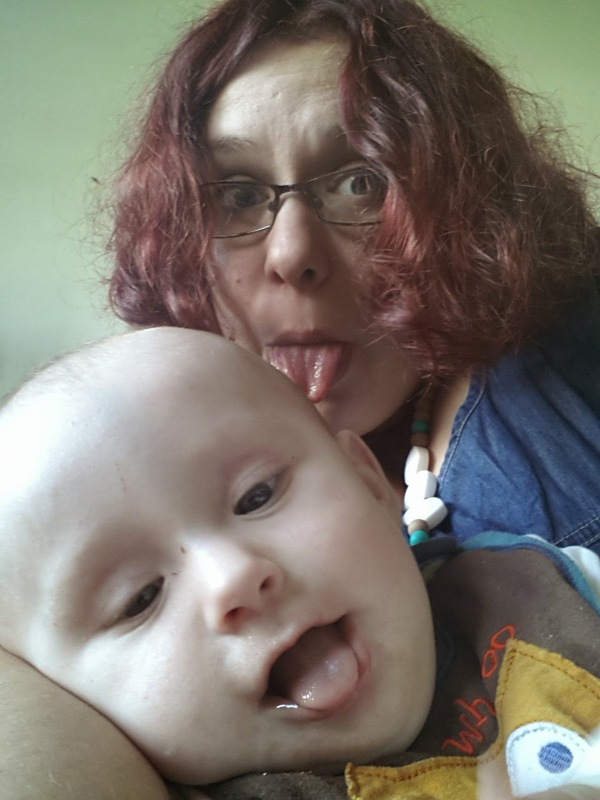 I’m honoured to be guest-posting for Rosey at PNDandMe on the topic of Mother and Baby Units, or MBUs. These offer inpatient psychiatric care to women experiencing perinatal ill health, enabling these women to access the intensive help that they need without being separated from their babies. Unfortunately, there is an appalling shortage of these facilities in the UK, meaning that many women have to travel great distances away from their support network of partners, friends and family to access this service, if they can access it at all. I recently met someone who moved house from London to Nottingham in order to be admitted. My hope, in writing this blog post, is that the first half will provide a realistic view of the current system to advocates and healthcare providers, that it might be improved, and the second half will provide information and reassurance to families who are facing the possibility of inpatient care. If you are in this position, my heart goes out to you. It can be a terrifying prospect to leave behind your home and to place yourself and your baby in the hands of strangers. You may have heard stories or seen films about ghastly asylums full of mad people. Fortunately, it’s not like that. I urge you to seek support. Talk to PANDAS UK , or The Smile Group based in Cheshire. PANDAS have an active Facebook group, and Rosey runs #PNDHour and #PNDChat on Twitter. You are not alone. For the sake of brevity, I’ll skip over the difficulties that led me to need inpatient care in the first place, but it has to be said that getting a referral wasn’t easy. I first spoke about how I was feeling to the health visitor who felt that I needed more intensive support and an MBU stay. I knew that she was right. However, this was not the start that I had hoped for for my son, and my previous experience of psychiatric hospitals did nothing to ease my fears. Yet I didn’t want to be separated from him either and, besides, there was no one to look after him during the day if I was admitted alone. It was such a hard decision to go and to take him with me but I knew the alternative was the very real risk that I would end up harming myself or, worse, harming him, and I wasn’t confident that I could continue to adequately care for him at that point. I got an emergency appointment at the GP surgery and stood at the bus stop with the pram and my five-week-old baby, concentrating very hard on ignoring the intrusive thoughts and not throwing him or myself into oncoming traffic. We boarded the bus but, in my distracted state, I had timed things very badly. The schools were kicking out and so the bus was heaving with rowdy school children and, to make it worse, by the time I reached the village, there were three other mums with prams or puschchairs, all vying for space and getting increasingly flustered. I’m not good with situations like that at the best of times but I kept it together until I got off the bus and then went and sobbed in a pub garden (one of a series of classy times at that period). Once I had regained composure, I realised that I would now be late for the appointment by about ten minutes. I called ahead and spoke to the receptionist. Tough, she said, you can’t have your appointment then. I knew I’d been very lucky to get that appointment at such short notice and chances were that I wouldn’t get another any time soon. I phoned a friend in desperation. She called the surgery and I don’t know what she said but I learned that the GP would be visiting me at home the next day! I couldn’t believe it. The next day, the GP came to the house. I told her what I was experiencing and that I feared for our safety. She was brisk and dismissive and I couldn’t get through to her. It didn’t help that I tend to appear most composed when I’m completely falling apart. She said that she would write to my psychiatrist and I would be sent an appointment in the post. I knew this would take months. I didn’t know what to do to keep us both safe. That evening, my husband took us to A&E. A&E is not where you want to be when you’re having a mental health crisis, especially with a tiny baby, but it seems to be the only way to access support rapidly. Eventually, we were sat down with this bloke. I don’t know who he was but he was excellent, truly excellent. He did the most remarkable thing, something that only a handful of people have done in my fifteen years in the mental health system: he listened to me and he took me seriously. Also, he sounded like Michael Caine. He said that we had done the right thing and that we needed to be in an MBU urgently. He couldn’t make it happen himself but he got me an appointment with my psychiatrist for first thing the next morning.The psychiatrist agreed but said he couldn’t make it happen either. He could only refer us to the home treatment team who would then refer on to the MBU, if they felt it was appropriate. I groaned inwardly. The home treatment team are a bunch of, as far as I can tell, largely unqualified people and when you’re on their books, so to speak, one of them descends upon you at home and patronises you for ten minutes each day. It’s a different person each time, though: there’s no continuity of care so they have no idea if you’re better or worse than you were the previous day, even if they were sufficiently qualified to judge. Fortunately they were co-operative on this occasion and did the referral quickly. The whole process took about a week. We lived that week on a knife edge. We packed the things that we would need for me and for the baby and a friend drove us the fifty or so miles to the nearest MBU at Winchester. Fortunately, my husband would be able to stay with family nearby and visit us each evening. The unit was a pleasant surprise. It was a homely sort of place, and we had our own room. A friendly, curly-haired nurse named Fiona took us there and my husband and friend were allowed to stay while we got settled. Fiona brought tea and biscuits. When they left, I felt very small and shaken and vulnerable. Fiona hugged me. I couldn’t believe it – I didn’t know nurses were allowed to hug patients – and I was so grateful, at that moment, for the human connection. Fiona was my named nurse. She consistently went above and beyond, talking me through things, teaching me coping skills, recommending books, making sure I was okay. When I left a month later, we both had a little cry. Dr Gregoire is an affable, clever sort of chap. I liked him immediately. We sat down and, it seemed, five minutes later he changed the diagnosis of bipolar disorder that I had carried for eleven years to borderline personality disorder or, as he calls it, complex post-traumatic stress disorder. His view of this controversial condition is more compassionate and more logical than the mainstream; you can read more about that here. I was initially sceptical but it does seem that he summed me up immediately. He said a number of useful things to me during my time there, called me a ‘survivor’ which embarrassed me but I hope to one day believe it, and talked about learning to moderate my extremes. He urged the importance of my receiving dialectal behaviour therapy (DBT), which I begin in the new year and am hopeful about. Honestly, it was worth being admitted to meet him and receive that help. The MBU, then, consisted of a ten or so bedrooms, a kitchen and dining room, a kitchen for preparing formula, a nursery, a lounge, a couple of smaller rooms for meetings or individual therapy and an underused spirituality room. There were childcare practitioners on hand to help with babycare. On a typical day, you would care for your baby, perhaps see a psychiatrist or psychologist or attend a group session on coping skills or anxiety management or similar, and maybe do an activity such as baby massage or baking. You could go into town once you had the okay from the doctor or pop to the hospital Costa. There were other mums in a similar position and you would inevitably make friends. It wasn’t a bad place at all. The experience, for me, was a very healing one. The intrusive thoughts and distress did not disappear but gradually quietened and I began to feel stronger. Being cared for and supported and actually receiving treatment during an inpatient stay redeemed some of my earlier, traumatic experiences when that had not been the case. I walked out, in the spring, with my head held high. I wasn’t cured, by any means, but I felt that I could once again tackle everything that life would inevitably throw at me. Thanks for reading if you’ve made it this far. I hope I’ve communicated that there are numerous problems with the system in terms of accessing inpatient support for perinatal mental health but, once you get there, it’s really not so bad and it can be a lifesaver.